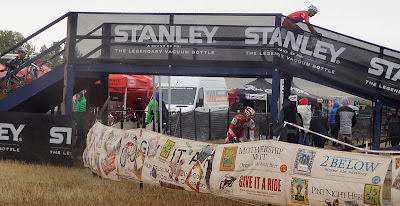 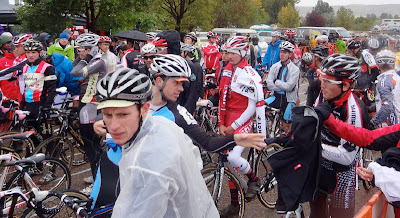 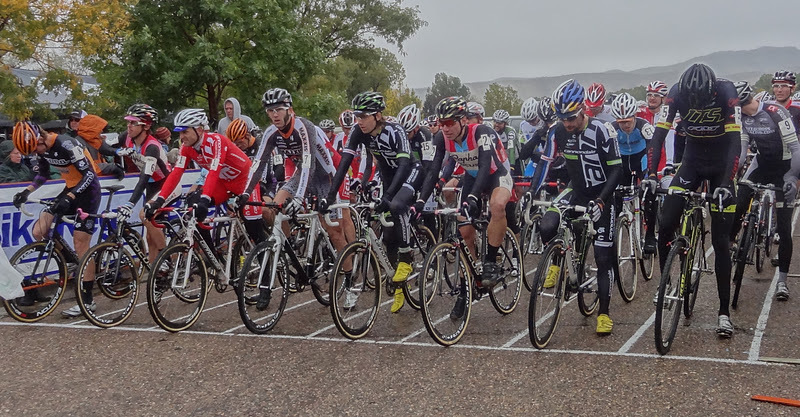 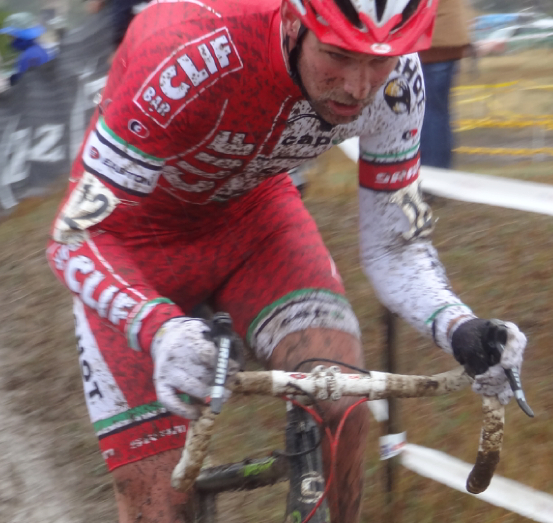 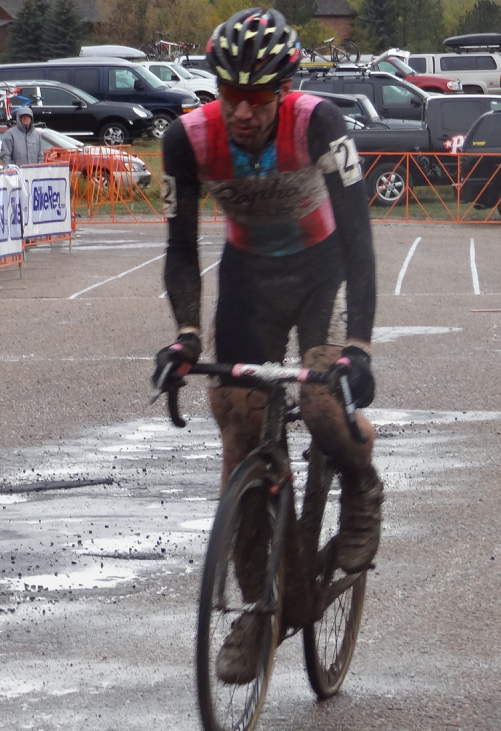 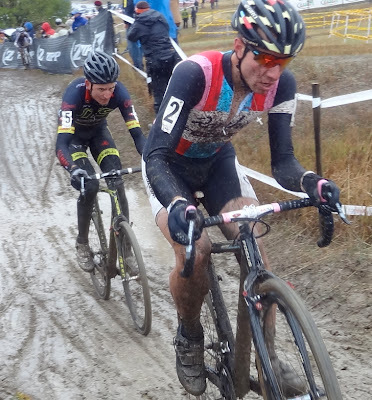 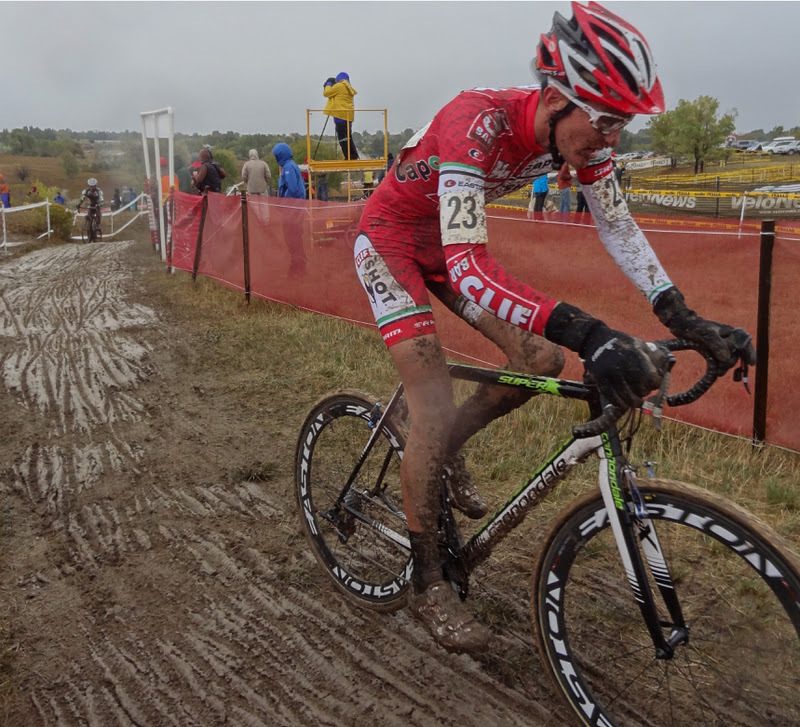 Saturday afternoon, on a very cold rainy day, I ventured north to Fort Collins, CO to watch the New Belgium Cup cyclocross race. 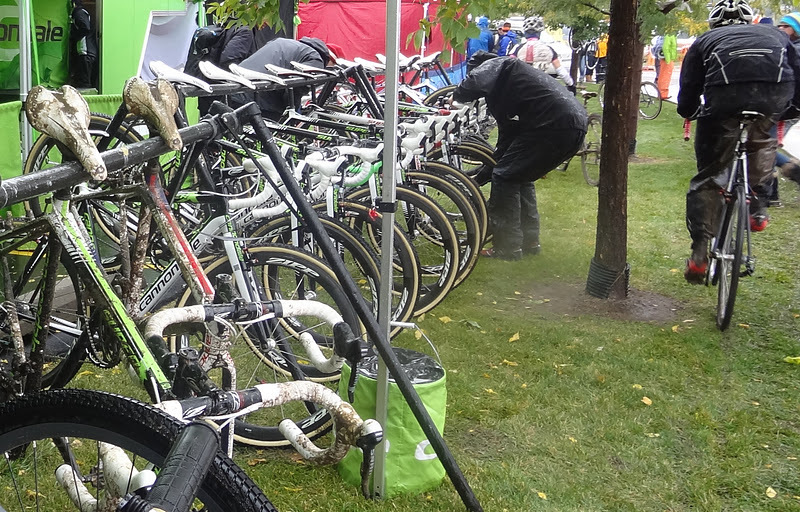 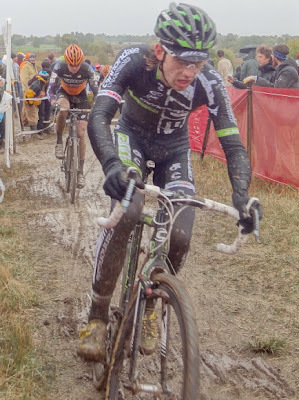 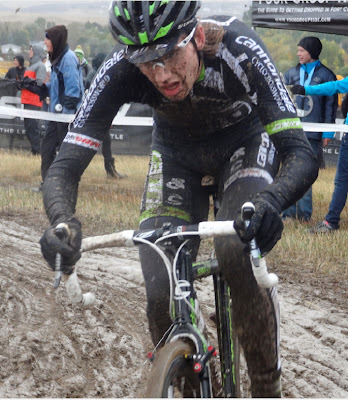 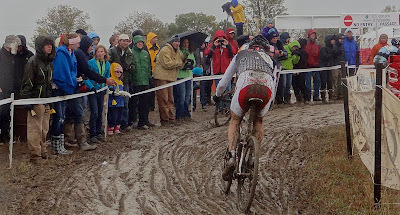 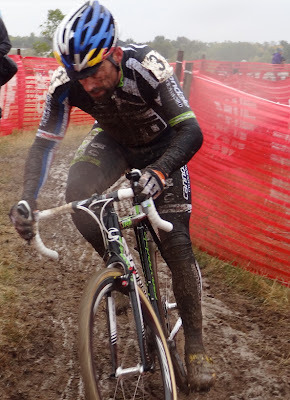 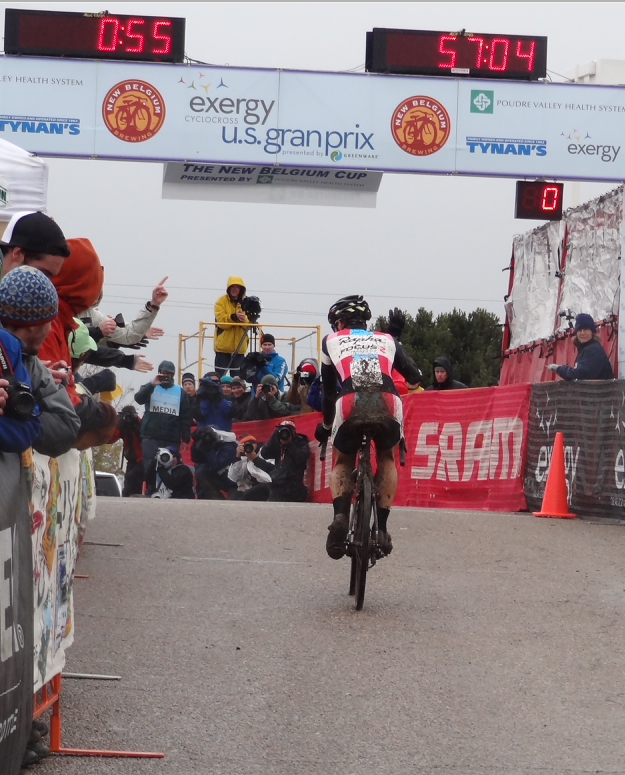 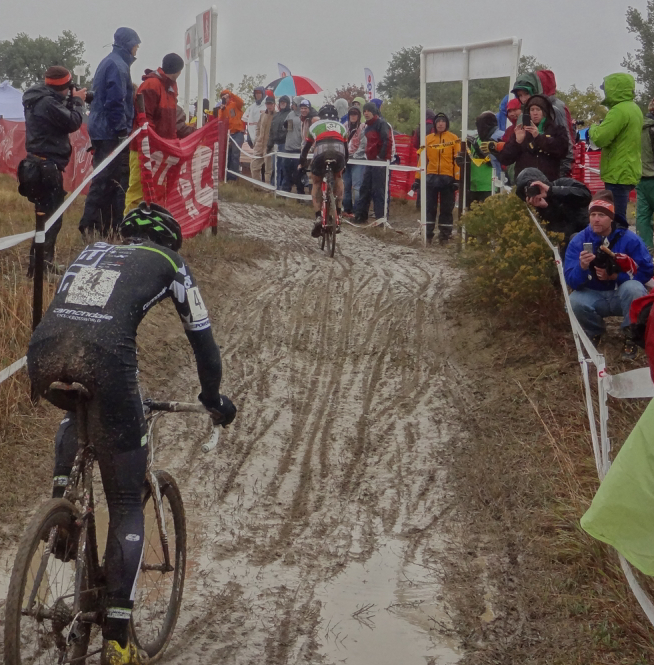 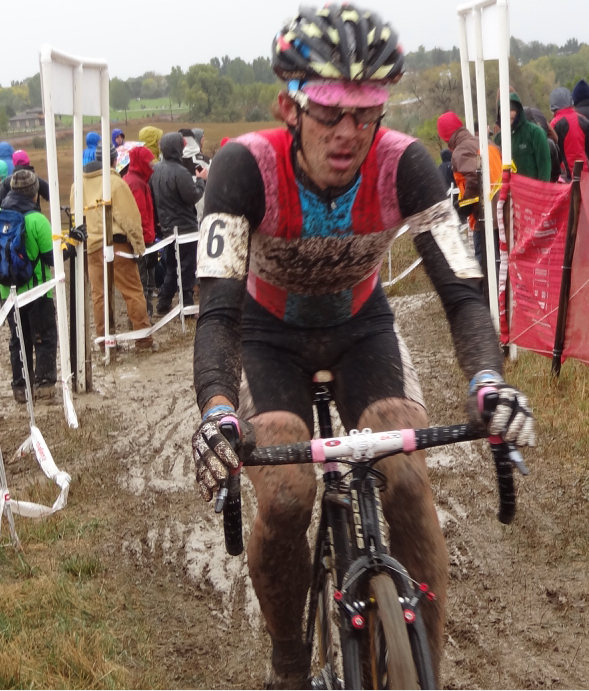 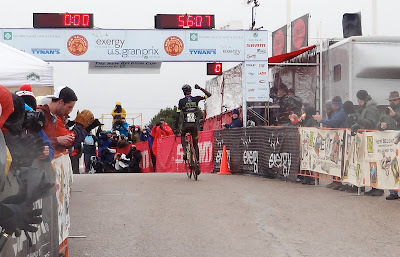 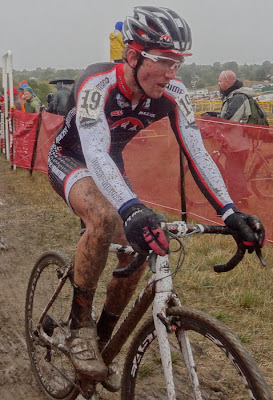 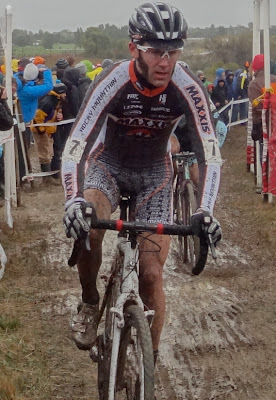 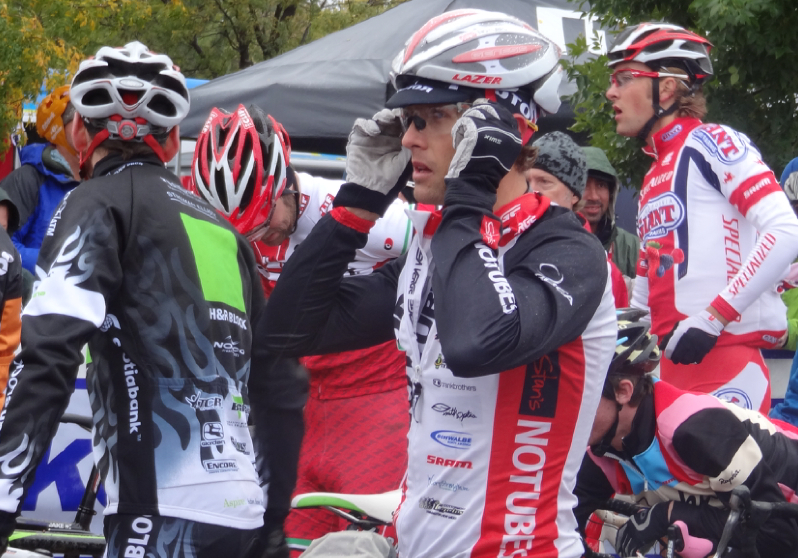 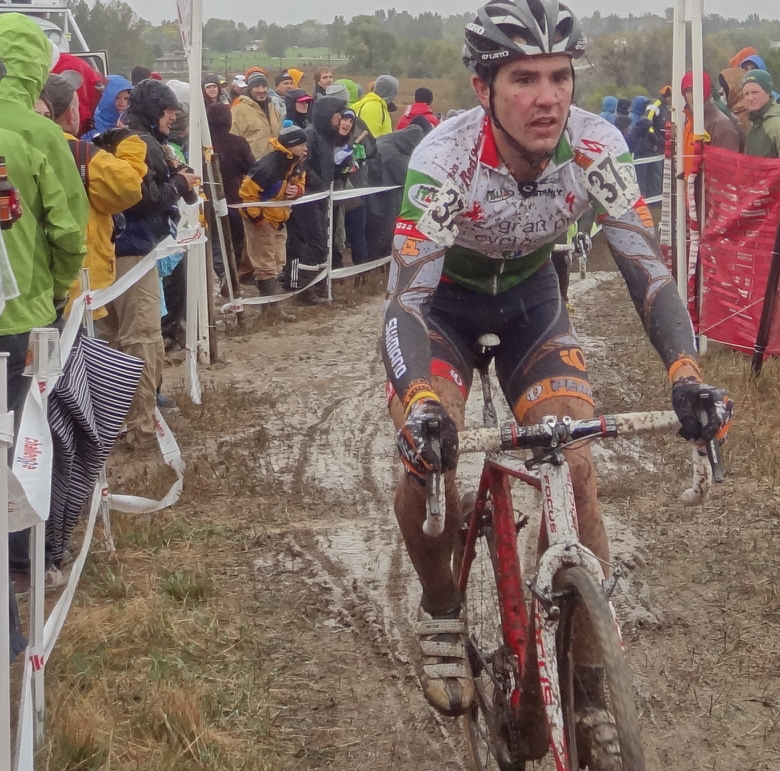 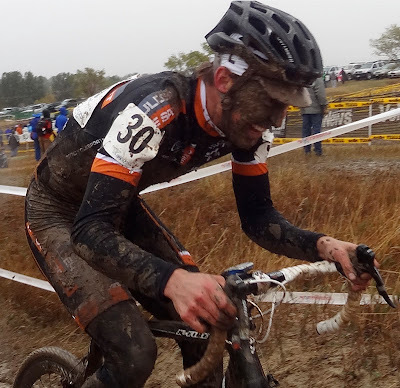 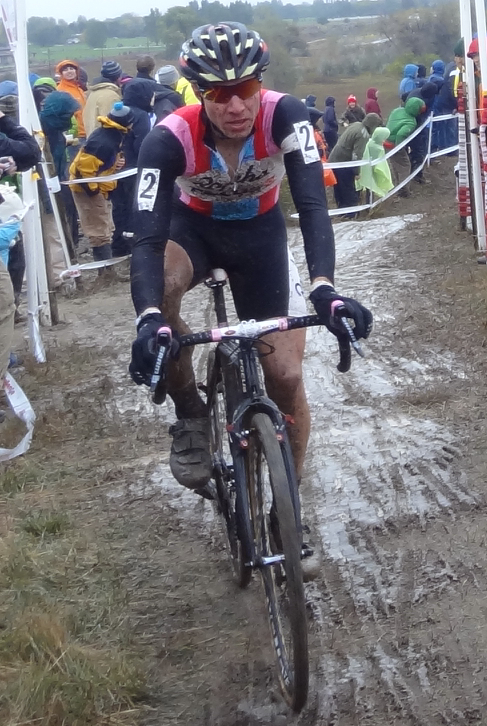 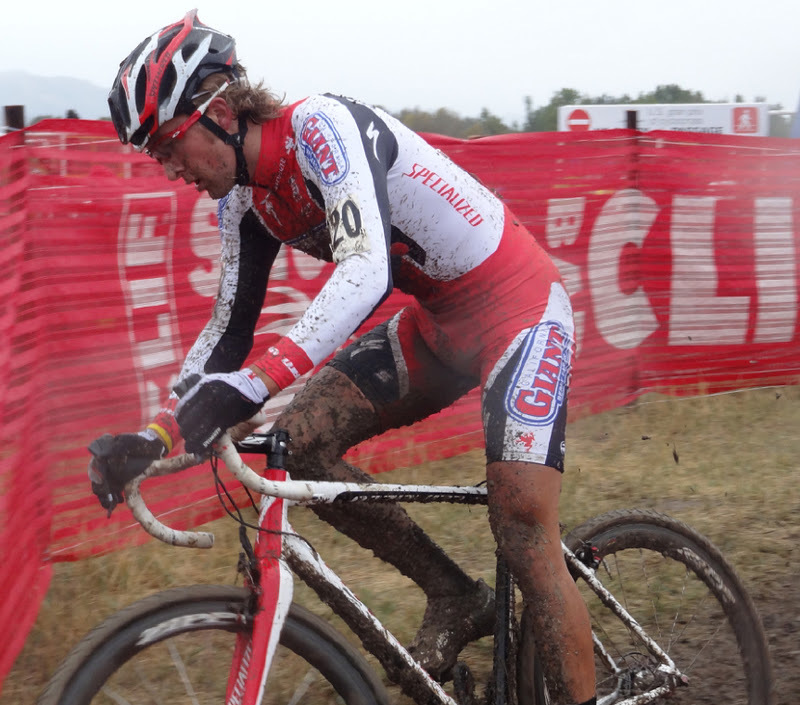 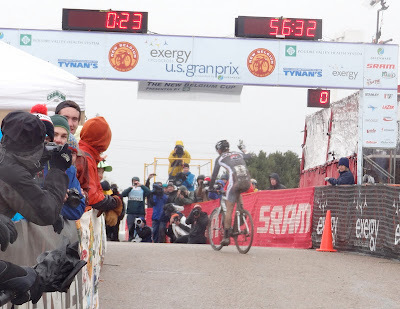 The race was the second on the calendar of four races in Wisconsin, Colorado, Kentucky, and Oregon comprising the 2011 Exergy Cyclocross US Gran Prix presented by Greenware. That is a long name for a fun event. This was to be the big cyclocross race of the season in Colorado, and I wanted to be there to watch some of the best racers in the nation compete. 5. 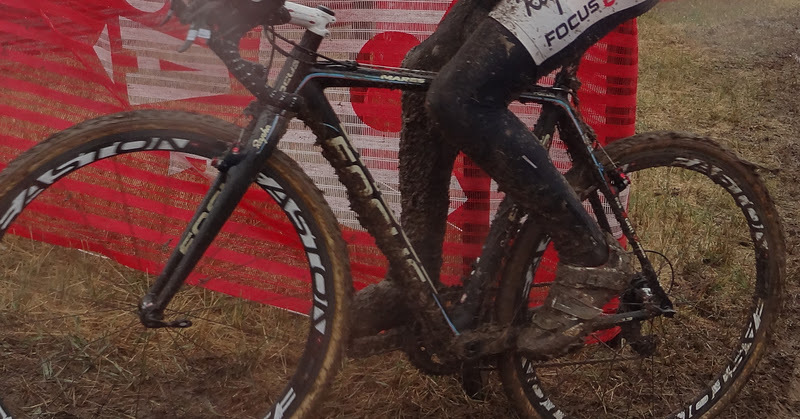 Yannick Eckmann, (GER) Pearl Izumi-Shimano, s.t. 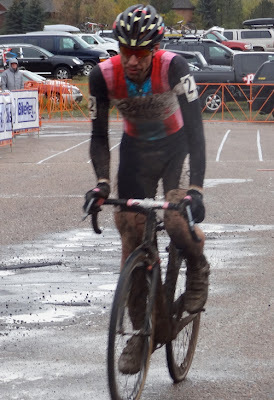 After the race, I attended a large dinner party in Boulder, where I was asked, "what is cyclocross?" 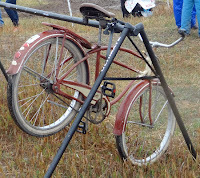 They were serious. 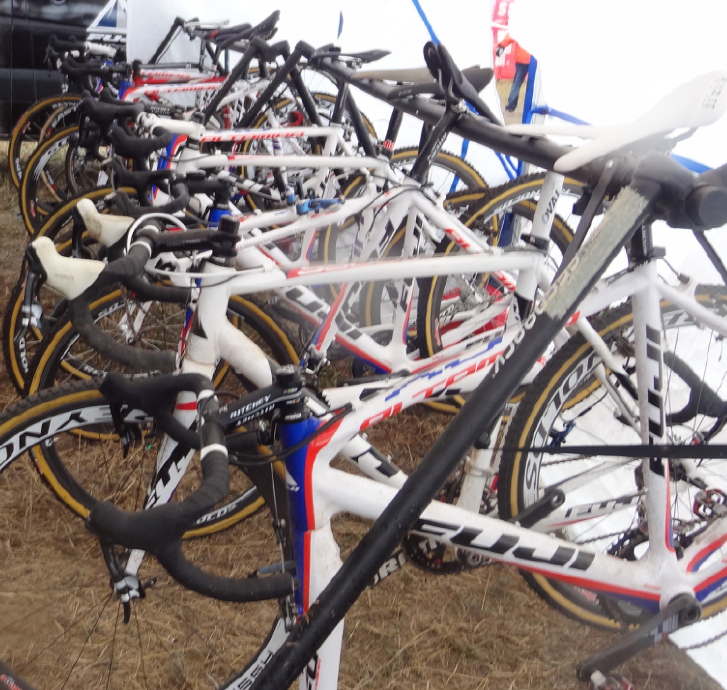 So I began gently, "it is bike racing in the winter, the bikes look like beefed-up road bikes. They ride over pavement, dirt, wood, and grass. They carry their bikes, they run with their bikes, they jump over things and they ride in between." 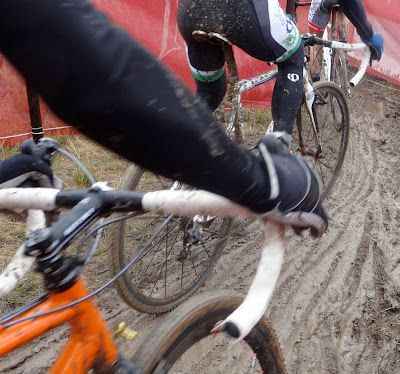 I realized this boring description was doing the fun sport of cyclocross no justice, so I changed gears, "remember when you were a child and the neighborhood kids would gather to ride bikes and play in the local construction lot and make jumps with wood and ride around a course one after another? Well cyclocross is like that - for adults. Plus it is a fantastic spectator sport!" 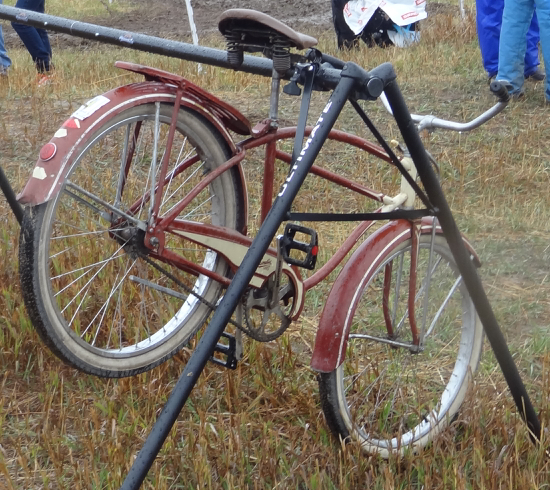 I nearly thought this was to be my transportation home after the race when the parking lot turned into a huge mud rally with cars stuck everywhere, luckily I got mine out.